Bruce Lee, started a martial arts philosophy called Jeet Kune Do, The Way of the Intercepting Fist. Rather than a system or “Style” of fighting it was more philosophy than physical art. The premise is “keep what works, discaed the useless”. Having drawn from many styles of arts in his life, but the core being from the style called Wing Chun, his own growth in martial arts was very eclectic, taking what worked for him, and leaving what didn’t. In many ways, we as bloggers and niche marketers need to do the same thing for ourselves. I for one have been through several “Schools of Blogging” and several “Schools of Marketing”, and have found that from each there were things that worked for me, and things that didn’t. 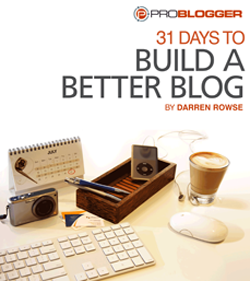 The Darren Rowse School of Blogging, 31 Days to Build a Better Blog, was short and sweet, very to the point and inexpensive. Yaro Staraks, BlogMastermind, was 6 months long, and was a bit more from the wallet than Darren Rowses course, but worth every penny, as was Darrens. From both schools of thought I took away many things that would work for me, and some things that didn’t work for me I just left alone. I then studied several schools of marketing in the Internet marketing world, one was the Micro Niche Adsense Masters Course, by John X-Factor, and the other was from CopyBlogger run by Brian Clark, learning writing techniques and traffic pulling concepts. Again both have their merits, both are good and both have things that didn’t work for me. I also drew from several other courses, The Lazy Super Affiliate, Niche Profit Classroom and Alexis Dawes Give me Desperate Buyers Only, all of which had excellent points and things I took away with me and the rest I just left. Why carry it around if I’m not going to use it? Right? With these philosophies I formed my own style of blogging and marketing, some are based on what I have learned from the “Masters“, and some I have developed myself. With these in mind, I would like all other bloggers reading this, especially Early Stage Bloggers, to realize that you don’t have to do everything perfectly by the book, or how the teacher explains, you should develop and find your own way of thinking and growing in the blogosphere. There is no absolute right or wrong, sure there are right and wrong ways of doing somethings but there are no absolutes. So don’t feel as though you are doing one thing wrong if you do it differently than you were taught, but it works the way you do it. Just remember, the Masters or A-List Bloggers started exactly in the same spot we all are or have, with only one reader, ourselves. Stay Tuned for My Next Article: Streetfighting for Bloggers. Thank you for that articale. There are some days that I feel I am doing everything wrong. Now i know that it just may be my style. Hey Debbie, I am not the greatest perfect writer and I always feel like I am missing something or doing it wrong. However it’s just my style the way I write and or do things. That’s what make’s us unique and separates us from the rest of the bloggers out there. I also think that by keeping what works and discarding what doesn’t, we can experience less information overload. We can then focus on improving the skills on the fields that matter to us. .-= Julius´s last blog ..Why Is It Good For The Economy To Hire People With Disabilities? =-. 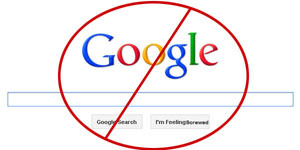 Interesting point, comparing blogging to Jeet Kune Do. Totally agree. And the only way to know what works is by tracking and testing. I read something along these lines just recently. I think it was Brad Fallon who wrote: “Do first things first, and second things never”. .-= Monkey´s last blog ..5 Benefits to a Boss with no Experience =-.